Turkish investigators believe a 15-member team "came from Saudi Arabia. It was a preplanned murder," said one of the people. Both spoke on the condition of anonymity to discuss the ongoing investigation. Turkey has concluded that Jamal Khashoggi, a prominent journalist from Saudi Arabia, was killed in the Saudi Consulate in Istanbul last week by a Saudi team sent "specifically for the murder," two people with knowledge of the probe said Saturday. They offered no specific evidence to back up the account. Earlier Saturday, however, Turkey's Anadolu news agency said the Istanbul public prosecutor's office had opened a probe into Khashoggi's disappearance. Turkish authorities have said that Khashoggi never left the consulate. 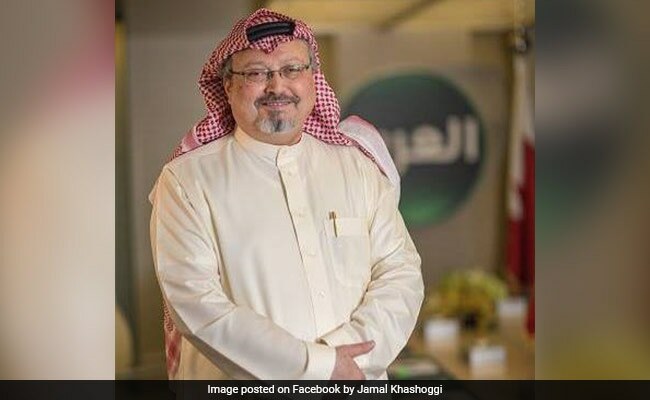 Saudi Arabia had vehemently denied that Khashoggi, who contributed to The Washington Post's Global Opinions section, was detained after he entered the mission. "I would like to confirm that . . . Jamal is not at the consulate nor in the Kingdom of Saudi Arabia, and the consulate and the embassy are working to search for him," the consul-general, Mohammed al-Otaibi, was quoted as saying. The killing, if confirmed, would mark a startling escalation of Saudi Arabia's effort to silence dissent. Under direction from the crown prince, Saudi authorities have carried out hundreds of arrests under the banner of national security, rounding up clerics, business executives and even women's rights advocates. "If the reports of Jamal's murder are true, it is a monstrous and unfathomable act," Fred Hiatt, the director of The Post's editorial page, said in a statement. "Jamal was - or, as we hope, is - a committed, courageous journalist. He writes out of a sense of love for his country and deep faith in human dignity and freedom. He is respected in his country, in the Middle East and throughout the world. We have been enormously proud to publish his writings." He returned to the consulate on Tuesday, at about 1:30 p.m., concerned that he might not be allowed to leave, according to his fiance, Hatice Cengiz. Khashoggi left his phone with her, along with instructions that she should call a member of Turkey's governing party if he did not emerge. After waiting more than four hours, Cengiz called the police, she said. In Turkey, Khashoggi's disappearance, and the allegation that his government was responsible, has sparked fears among the many political dissidents from Arab countries who have settled in the country over the past few years and previously felt secure, according to a Saudi dissident living in Istanbul.